Help Us Join Global Giving! PTF has been invited to participate in Global Giving’s Accelerator Program from 12-30th March 2018. Our goal is to raise $5,000 from 40 unique donors to become “permanent members” of the platform going forward. Being a permanent member of the Global Giving platform will allow PTF to highlight the work of its hard-working local partners like the Anti-Corruption Coalition Uganda (ACCU) and The Apac Anit-Corruption Coalition (TAAC) and help them mobilize resources to continue much needed programs. Since 2013, PTF has been working with ACCU and TAAC in the Apac district of Uganda, where vital healthcare for vulnerable people is often compromised by corruption: life-saving medications go missing, funds to pay nurses disappear and patients are forced to pay bribes to save the lives of their loved ones. Together we created the Citizen Action Platform (CAP) as a means for patients to report and eliminate the maltreatment they confront. Now, people are able to stand-up to injustice and improve their communities through a simple text message. 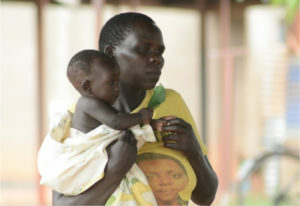 We need your help to make sure Ugandan women, children and men receive the healthcare they deserve. Please consider a small donation to help us reach our goal and provide accountable healthcare. Read more about the program and how you can help on the Global Giving project page. Your ticket for the: Help Us Join Global Giving!